Classroom Freebies Too: Need to clean up your paper piles? Here's how! Need to clean up your paper piles? Here's how! Paper "pilers" often have pretty good internal reasons for keeping the piles. Knowing how your internal thoughts are feeling deep down about those paper piles can be something that relates to how you relate to those stacks of paper. 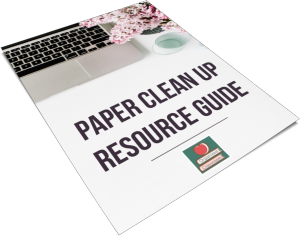 Download the FREE Paper Clean Up Resource Guide!